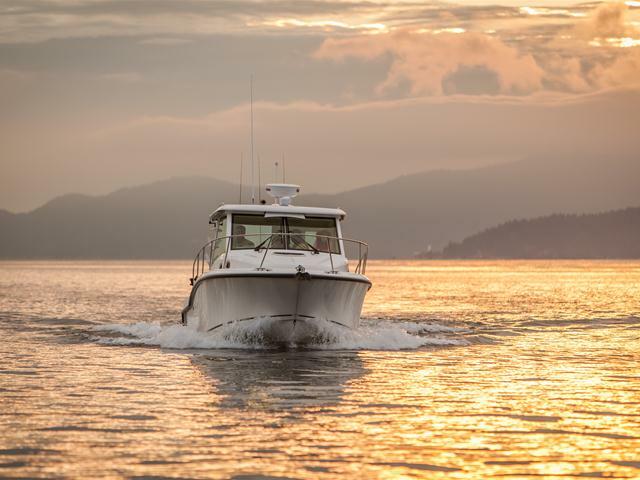 A host of thoughtful amenities and options make the 315 Conquest Pilothouse the perfect boat to take on open water, whether you’re seeking big offshore sportfish or effortless entertainment. 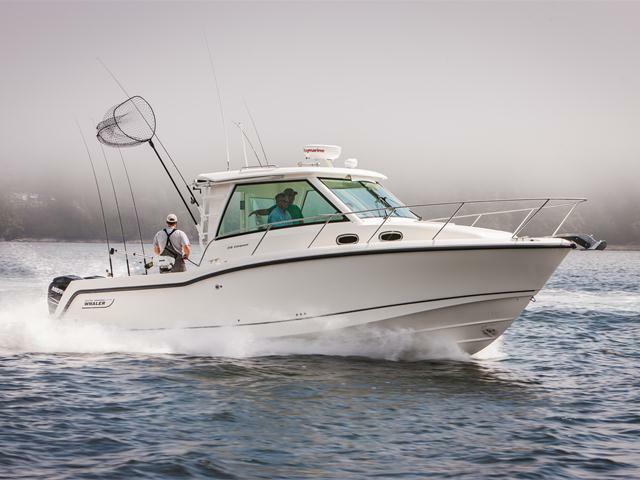 Thanks to an enclosed windshield with aft bulkhead, you’re protected from the elements. 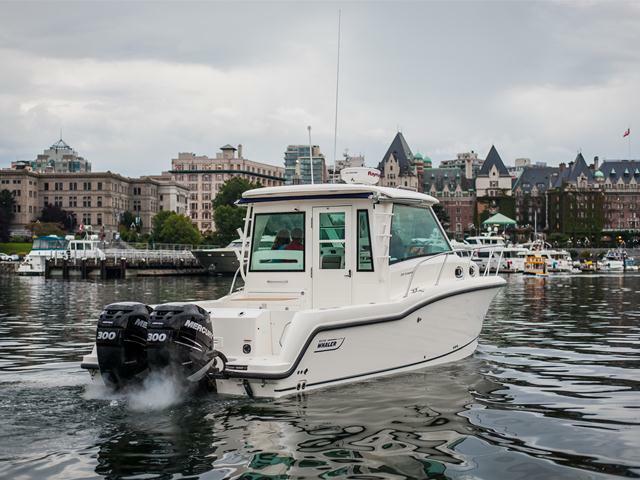 And thanks to a multipurpose prep station and ample storage, with a new Conquest Pilothouse, you’re armed to make serious catches. 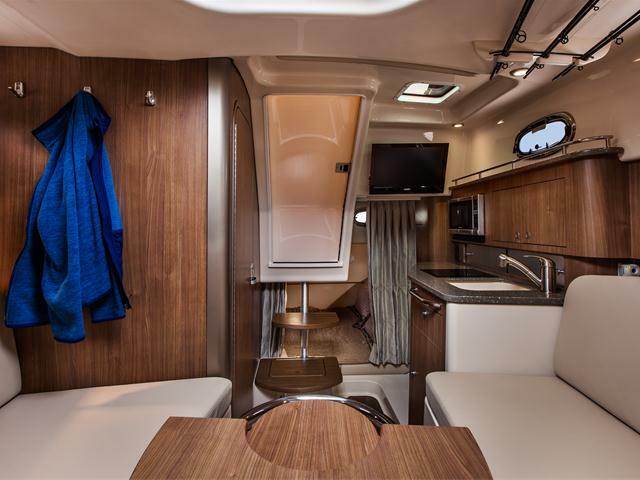 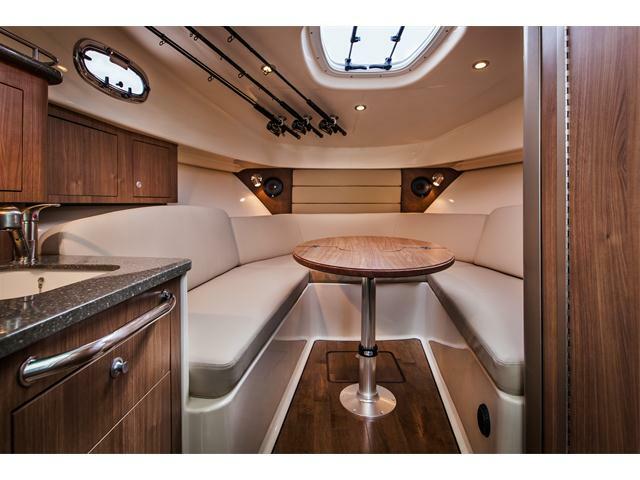 Duck into the cabin and find a convenient galley, well-appointed head and spacious V-berth dining area, perfect for gathering with friends and family. 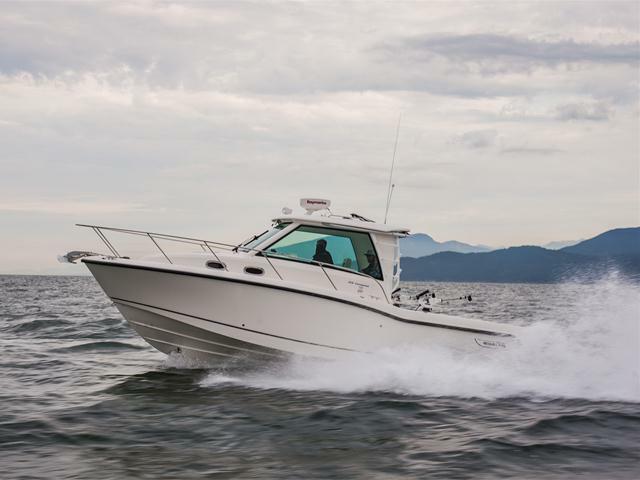 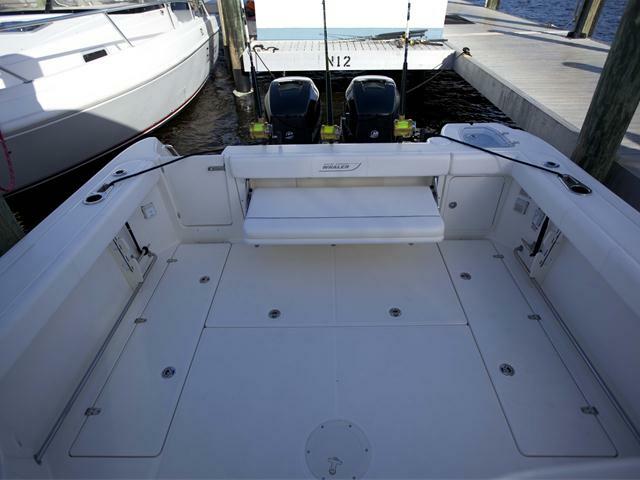 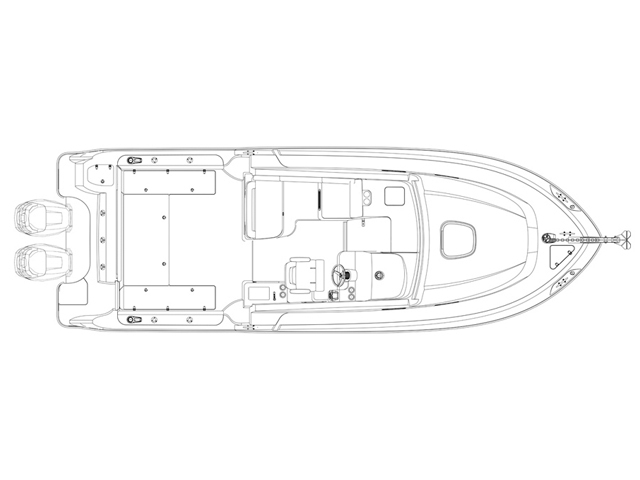 Whaler’s unsinkable deep-V hull and premium Mercury Verado power ensure that the ride is as smooth and comfortable as the soft, durable seats.